When she lost her husband at the age of 23, just two years after her marriage, life rose up like a mountain before her. Unable to face the orthodox societal mores of the hills which still demean a young widow, she even thought of ending her life, once. But that was not to be. 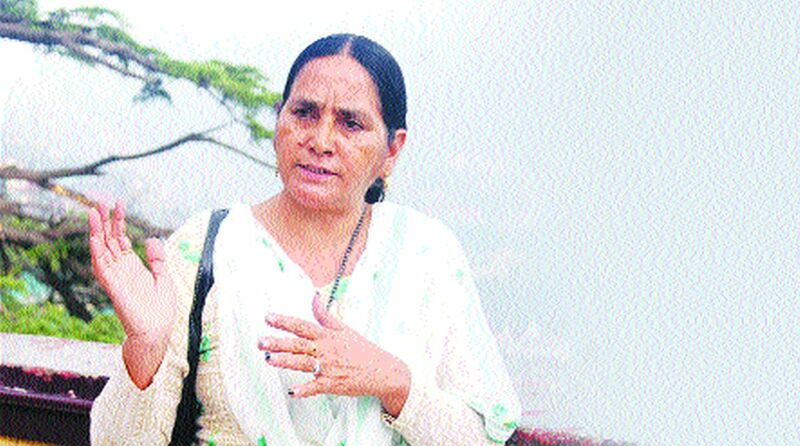 Thirty years on, matriculate Nirmal Chandel from Sathmala village (Gopalpur) in Mandi district of Himachal Pradesh has transformed her life and turned out to be a selfless champion for other such single women in the rural state. Leading the over 16,000-member strong Ekal Nari Shakti Sangathan (ENSS-single women forum) now, Chandel strives for the dignified living of poor, illiterate and unaware widows, divorced, deserted and unmarried women. She helps them gain confidence and has over the years influenced government policies to their benefit, making it a movement of sorts. “It was difficult. When my husband died, I was made to sit in a dark corner of the house, not allowed to go out for one year. My parents too expressed helplessness. In this depression, a friend in the village showed me the way. I left home to escape hostility and joined Social Uplift Through Rural Action (SUTRA), an NGO based in Jagjitnagar in Kasauli. That turned my life around,” Chandel told The Statesman. In 1990, Chandel started working with the NGO as an accountant on a meagre Rs 350 a month, which she said, was her first step towards empowerment. It was here that she gained courage to face the world. (SUTRA works to promote democratic rights of people, with focus on women). In 2005, SUTRA Director Subhash Mendhapurkar motivated Chandel to work on a single women forum on the lines of a project in Rajasthan. “For a while, it pinched me that he picked me up for this because I was a widow. Then I realised that it was an opportunity to help women fight back. What I suffered, others should not,” she said. Chandel formed a forum – ENSS – with a dozen widows and divorcees that year. The number went to 120 in one year, with even octogenarians coming forward. The efforts crystallised in 2008, when some 3,000 single women, young and old, walked 30 kilometres from Dhami to Shimla to press for their status, moving the then Chief Minister, Prem Kumar Dhumal address them outside the vidhan sabha. The ENSS, of which Chandel is a convener, is now spread in ten out of the state’s 12 districts and spiritedly battles for social, financial and emotional security for single women in villages. The small interventions by Chandel’s team that range from helping such women get social security pension, processing of ration cards, availing benefits of state schemes and above all, building their capacity, have yielded results. 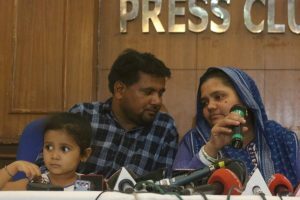 The divorced women and women whose husbands went missing, were included for social security pension (Rs 750 a month) and the government even started giving financial aid to children of widows or divorced women for education till 18 years of age. The single women are given preference in jobs in anganwaris, as water carriers in schools and at other institutions for self-sustenance. The ENSS also identifies separated women, who don’t have access to justice or are victims of delayed justice and helps them. “These may appear to be small things, but they are an uphill task for village women, who are denied all rights and are often left to their fate with children,” Chandel said. The ENSS won an international award of Rs 22 lakh from Ashoka Foundation in 2011 for its concept of new sasural (in-laws) for poor widows, deserted and divorced women. It has saved the award money, with a plan to start small ventures for single women in groups and is waiting for government to grant some land on lease. Chandel is not only recognized as a ‘game changer’ for single women in Himachal, her model is becoming a subject of study for social work students from India and abroad. She was invited by the University in Edinburgh in UK few years ago to share her ‘motivating journey’ but could not make it for some reasons. “The real success is that single women are opening up and communicating their problems not to gain sympathy, but dignity. They are not taken lightly in official circles and are now treated as a separate entity in Himachal in many government policies,” she said.